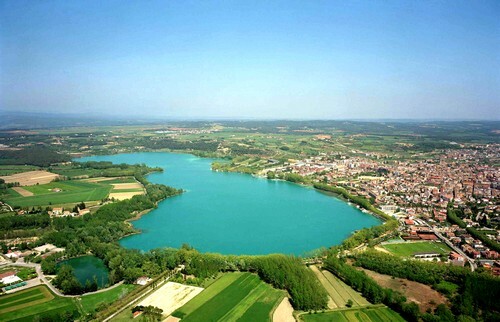 Lake of Banyoles, located in the Pla de l’Estany zone, is a pond fed by groundwater from the High Garrotxa region, northwest from this point. Declared picturesque landscape in 1951 and rowing venue in the 1992 Barcelona Olympic Games, it is an exceptionally beautiful place to walk around, have a boat journey or simply to have a picnic on its banks. Pla de l’Estany (in Catalan estany means pond) is a region rich in water, since it is located between two river basins: the Fluvià one in the north, and the river Ter in the south. 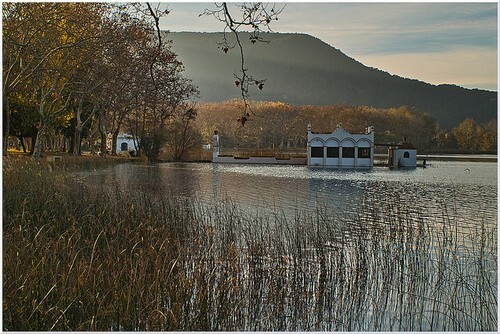 For this reason it has several ponds, and the Banyoles lake is the best known. Of great beauty, with a shape of number eight, this lake also has a huge ecological value because it builds up around an enormous diversity of plant and animal living habitat that benefits from the fresh water the lake provides. Banyoles is the village situated on the right bank. The importance of the lake to its people is vital and constitutes one of the main symbols of their identity. 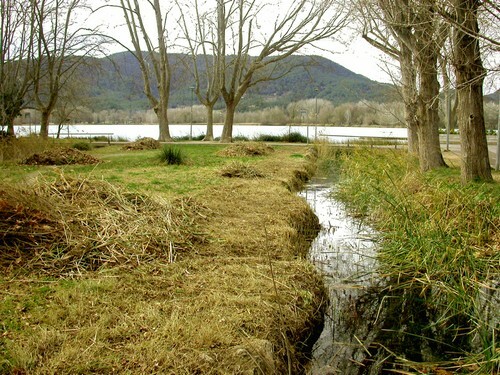 In fact the village was able to grow to its shores by irrigation canals that the Benedictine monks of the monastery of Sant Esteve de Banyoles built in year 812. These canals are still preserved and cross Banyoles streets. At the time these works allowed lake flood control and increased the habitability in the area. Subsequently less urgent uses appeared, as washing clothes, watering and industrial fields (fabric, paper, flour, etc.). Lake of Banyoles, by its nature and landscape, is included in the plan area of ​​natural interest, so it has a high conservation status. For this reason visitors are invited to enjoy the presence without affecting its integrity.